Many newbies don’t like the option of navbar in their blogspot.com. I too agree that blog will look ugly if navbar is present. Follow the below steps if you want to remove navbar. Click of layout option of your blog and choose “edit HTML” option inside that. 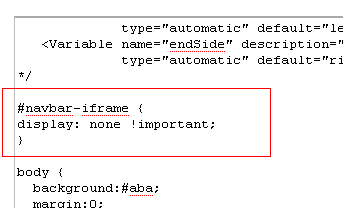 Place the below piece of code before the <body> tag like shown below. Wanted to drop a comment and let you know your Rss feed isnt functioning today. I tried adding it to my Yahoo reader account and got nothing.